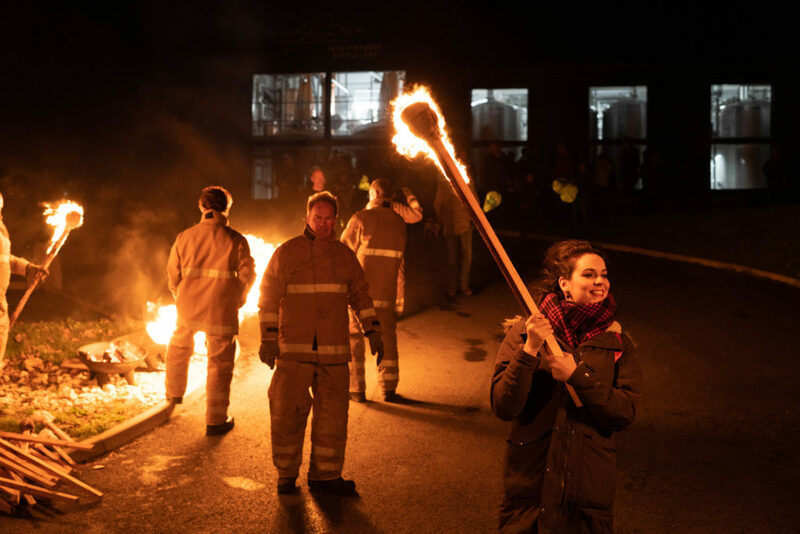 Whisky, Fire and Song was a fun-filled weekend of live music, community events and whisky drinking on the Isle of Raasay recently. 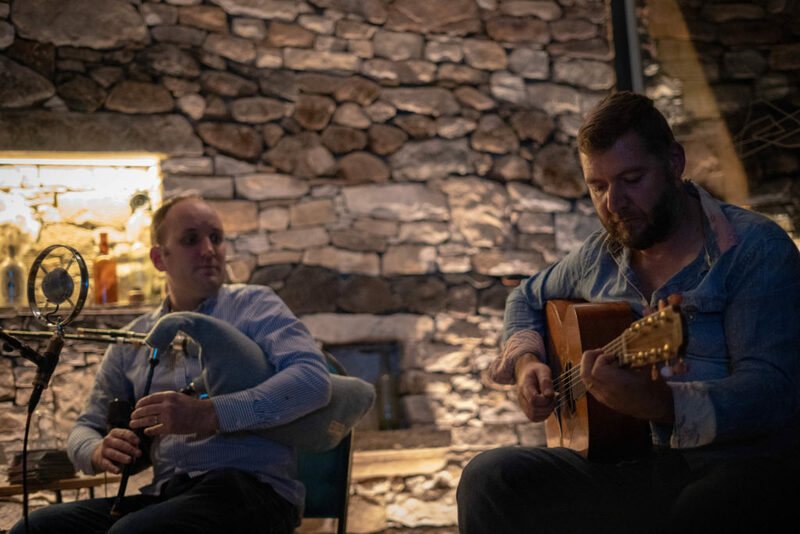 Now in its fourth year, the festival kicked off on Friday with a night of music and song at Raasay Distillery. The evening featured talented musicians Calum Alex MacMillan, from Lewis, and Ross Martin, from Arisaig. The weekend’s festivities also included community events – a themed cake competition and face-painting at Raasay House. The frivolity continued at Raasay Distillery from 6pm and followed by a traditional passing round of the quaich. 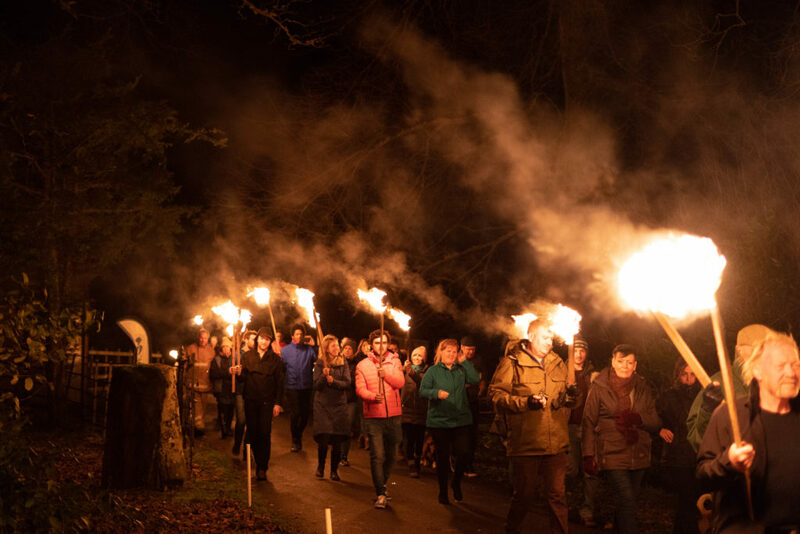 The highlight of the weekend was a torchlight procession which marched along the lanes with Raasay fire service as guard of honour. Bad weather meant that the procession was not able to finish at the Boathouse for the bonfire as planned. Wind and rain did not dampen spirits, however, as the torch-lit procession instead marched to Raasay House to finish the night with mulled wine and good craic in the West Wing and bar.